Twice in one week, we witnessed two monumental historic occasions that expressed how through great adversity, human resolve can bring about great change. From 2019, 22 April will be a national day of commemoration for murdered teenager Stephen Lawrence which was announced last week on the 25th anniversary of his death. 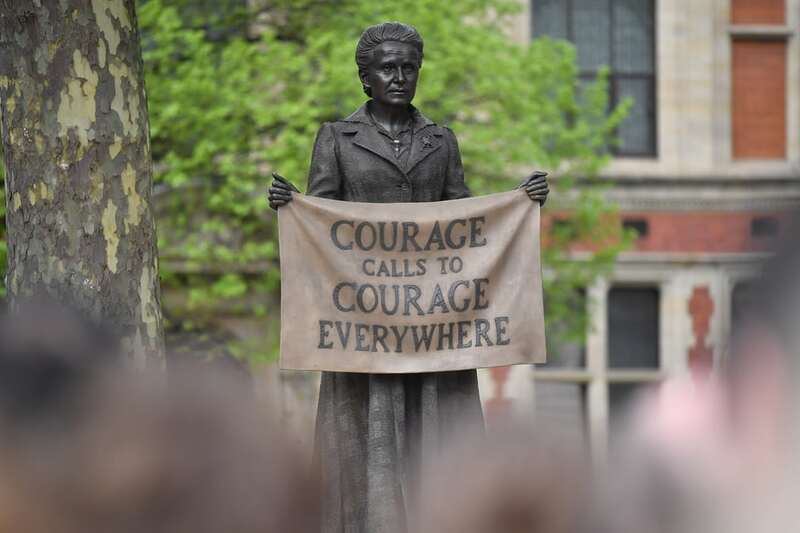 Following that announcement, a sculpture of Millicent Garret Fawcett was unveiled in Parliament Square on 24 April standing on a plinth honouring 59 activists who worked alongside her. The first statue of a woman, in the square previously dominated by 11 men, this new artwork was made by artist Gillian Wearing. Following a concerted public campaign by activist Caroline Criado-Perez, Mayor of London Sadiq Khan brought together a commissioning panel and advisers who included Sally Shaw (Firstsite), Melanie Keen (Iniva), Tamsin Dillion and Jenny Waldman (1418Now) to help make this landmark sculpture a reality. In acknowledging Baroness Doreen Lawrence and Caroline Criado-Perez, we’d like to honour the many women who through sheer tenacity continue to make a difference to public life ensuring the fight for greater racial and gender equality continues unabated. Award-winning poet Theresa Lola produced a new piece praising the power of women, ‘For Those Who Listen When Courage Calls’ which she presented on the occasion of the unveiling. You can read it here. The sculpture of Millicent Garret Fawcett was commissioned by the Mayor of London with 1418 NOW, Firstsite and Iniva to commemorate the Centenary of the Representation of the People Act 1918, through the Government’s national centenary fund.